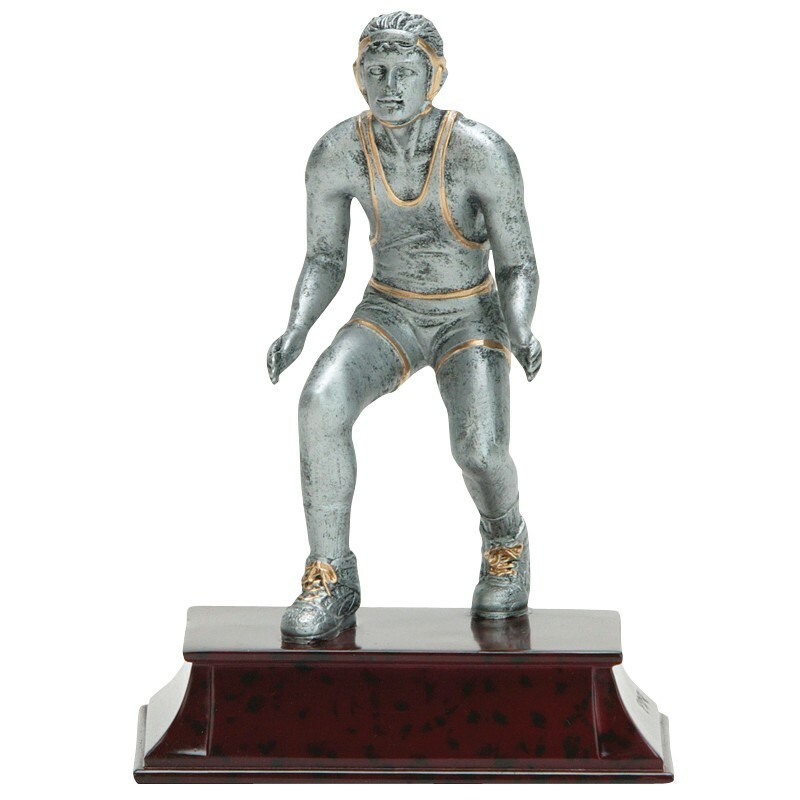 High Quality Boy Wrestler Award Resins are a handsome line of wrestling trophies featuring a top-form male wrestler in a ready-to-tackle pose. 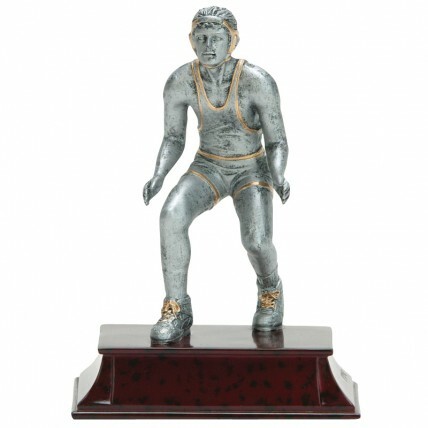 Crafted from solid resin, this award resembles cast pewter with gold-tone accents on a mahogany colored base. Total trophy height is approximately 6 inches.